I saw this recipe a year or two ago on one of the blogs that I follow. It looked absolutely delicious and I knew I had to try it. I just needed an occasion to make it! So when my brother had a family Superbowl party last year (remember these babies? ), I immediately thought of this appetizer. And I am glad that I did! 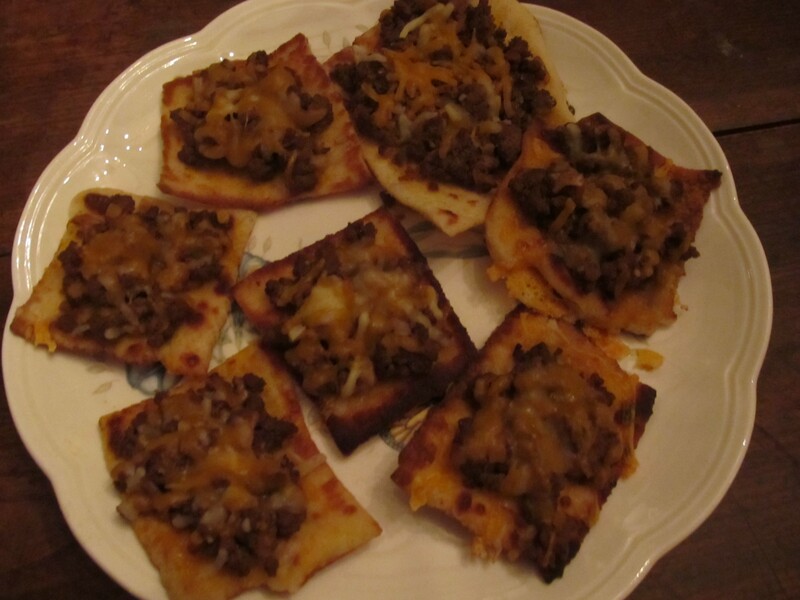 They are a terrifically simple concept –browned beef in a sauce, on top of pizza flatbread, topped with cheese! Doesn’t it sound fabulous? 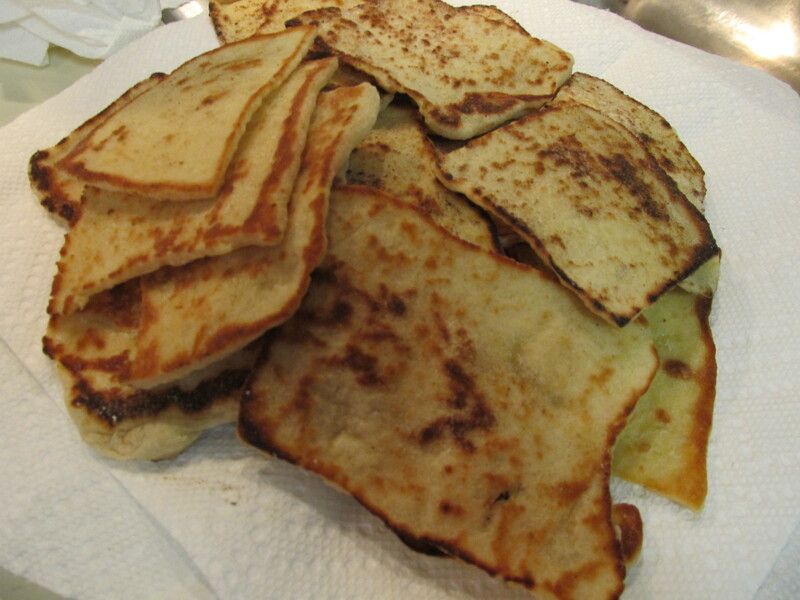 You can certainly use your own homemade dough for the flatbread part. But I was making 3 or 4 things and there’s only so much time in the day! So I used the Pilsbury dough as a shortcut. It worked out great though! 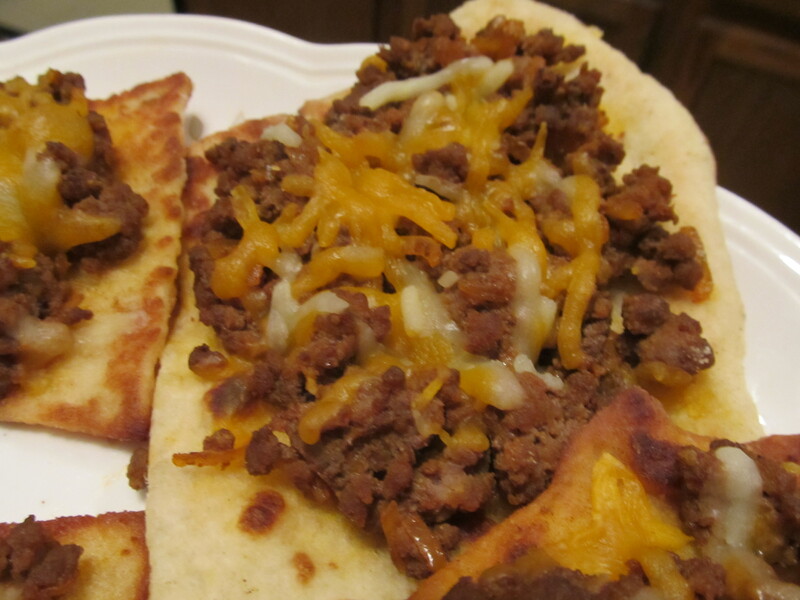 Annnnnnnnnnnd here is the final product – cheesy, meaty, deliciousness in your hand. This little gem was a HUGE HIT. I believe I quoted one of my brothers saying “Please stop making these – you’re killing me”. He couldn’t stop eating them. 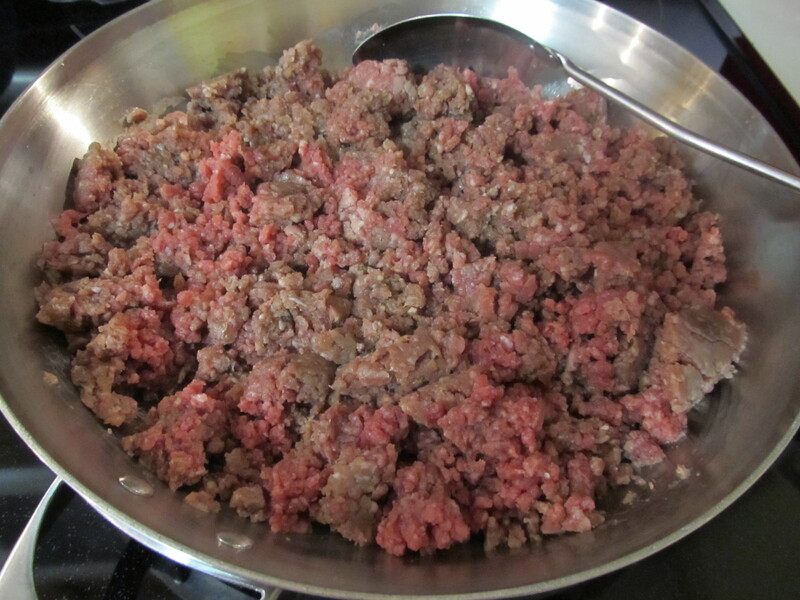 Brown and drain ground beef. 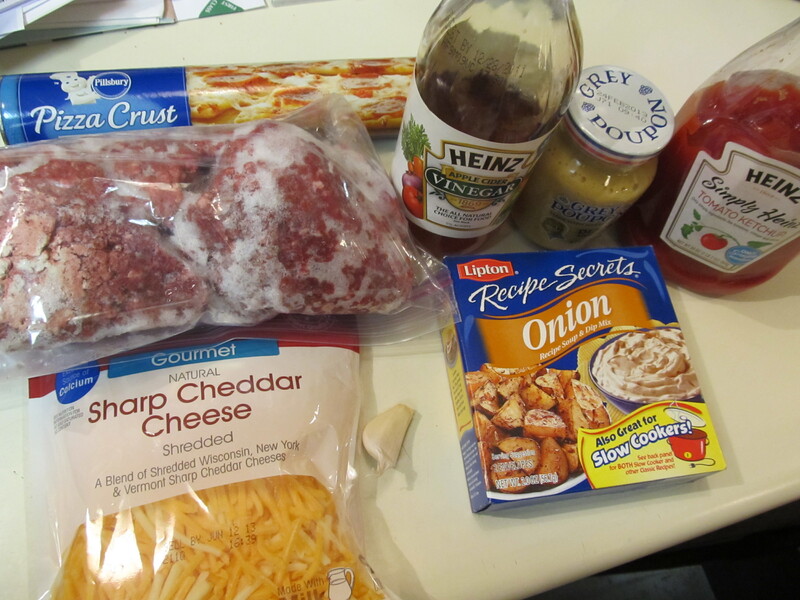 Add water, vinegar, onion soup mix*, ketchup, mustard and garlic. 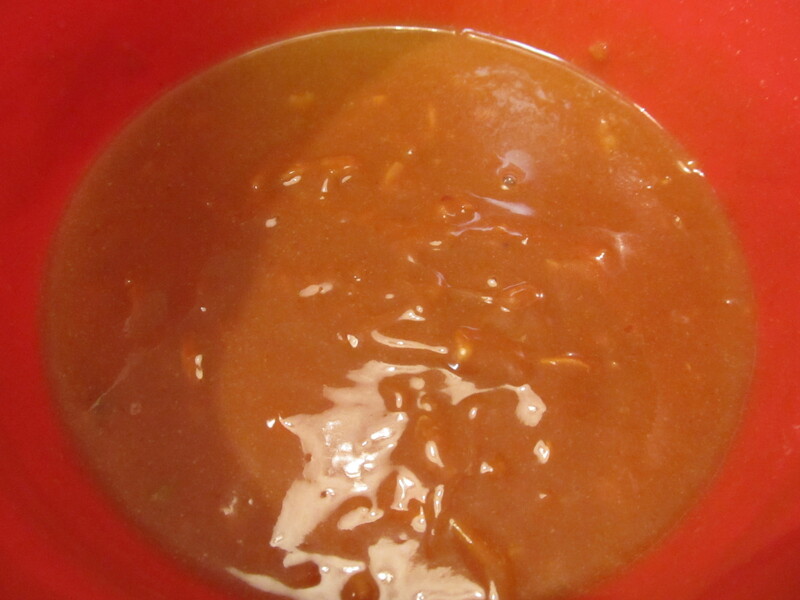 Stir to combine and simmer over low heat. 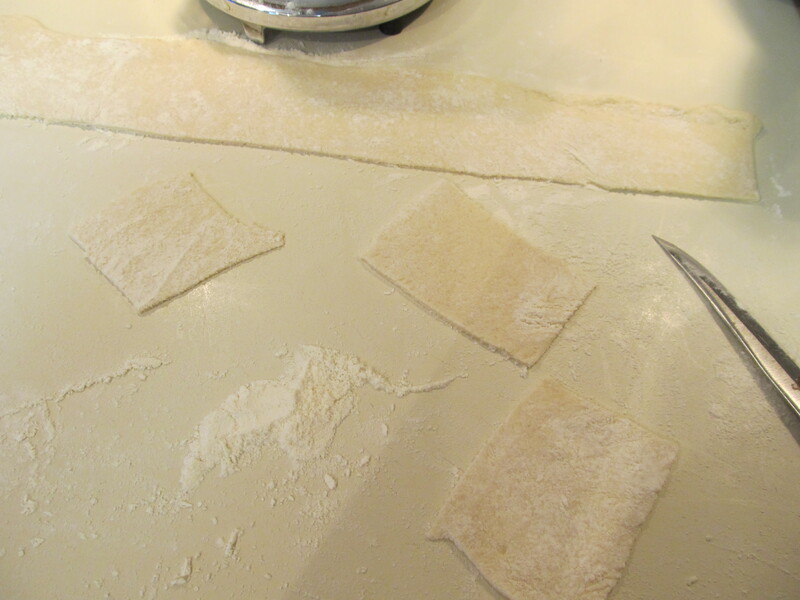 Meanwhile, divide the pizza dough into six equal portions and roll into a round, tortilla-like shape. Heat 2 tbsp canola oil over medium heat in a large, heavy bottomed skillet. 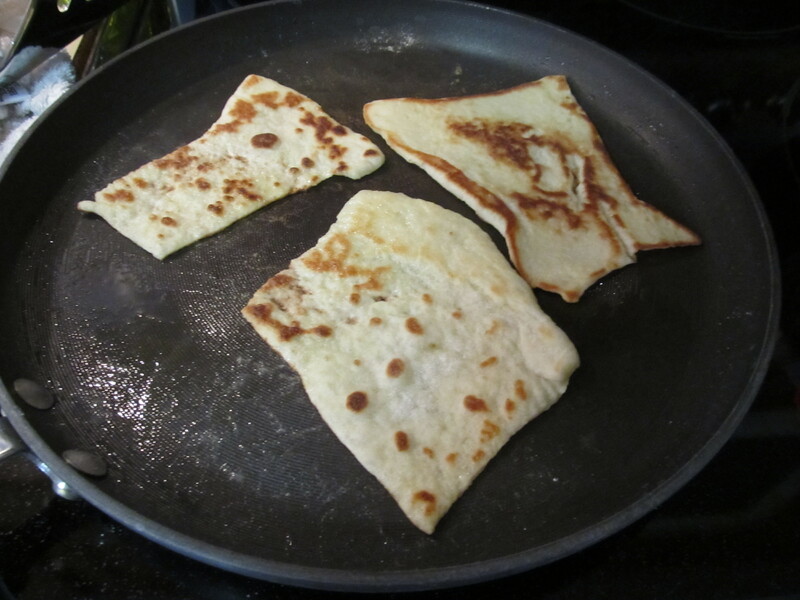 Fry the dough for one minute on each side or until golden brown and bubbly. Remove to a paper towel to drain. 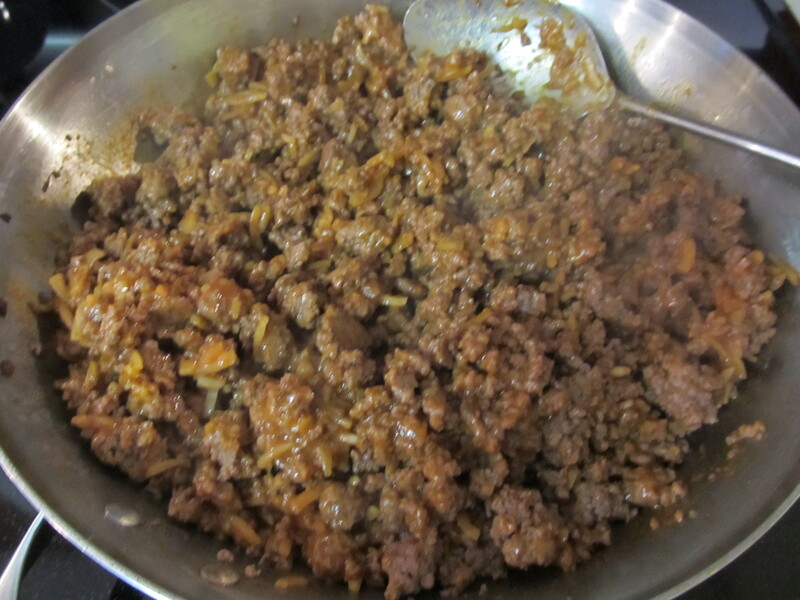 Top with beef mixture and shredded cheese. Serve warm.